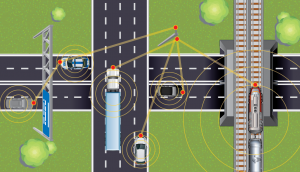 John Maddox, an expert in connected vehicle technology, testified recently before Congress on the future of surface transportation technology – a key area of research in the Texas A&M Transportation Institute (TTI) Transportation Policy Research Center. Maddox is the Director of Collaborative Program Strategy in a partnership between TTI and the University of Michigan Transportation Institute (UMTRI). He testified at a June 18 hearing of the House Science, Space, and Technology Committee – Subcommittee on Research and Technology. In his testimony, he addressed near-term and long-term future vehicle and infrastructure technologies, and the role of government and industry research and development, including related policy issues.